This article just came through THR. 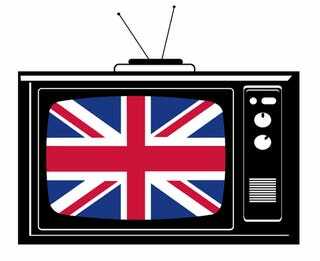 Speaking at an industry convention in Cambridge, Director General of the BBC Tony Hall teased OTT boxes being made available to American audiences next year. The BBC will launch an over-the-top video service in the U.S. next year, the U.K. public broadcaster’s top executive, director general Tony Hall, said at a TV industry convention in Cambridge, England on Thursday. Hall said it would make no sense to break off BBC Worldwide from the BBC, saying the commercial arm would look to continue growing its revenue, which will help fund the BBC. “Over the next few years, we intend to work with global partners to grow Worldwide further, taking advantage of the demand for British programming and new digital opportunities,” he said. “We’ll begin to try out businesses that go direct to the public,” Hall said. “Next year, we’re launching a new OTT video service in America offering BBC fans programs they wouldn’t otherwise get” and showcasing “British actors, our program makers and celebrating our culture.” He didn’t detail likely pricing, launch date or name of the service. The news comes after AMC Networks last year acquire a 49.9 percent stake in BBC America for $200 million from BBC Worldwide. The commercial arm of the BBC had tried to launch a global version of its iPlayer VOD service, but then ended that venture a couple of years ago.